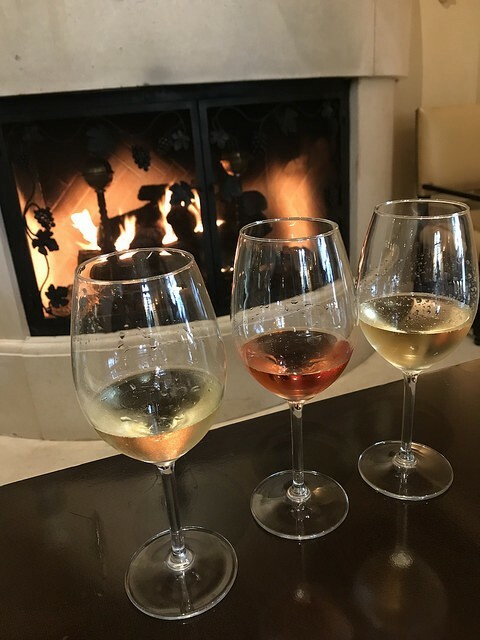 I was invited to check out Chapel Down sparkling wines recently at a lunch at Georgie, the restaurant at The Montage in Beverly Hills. 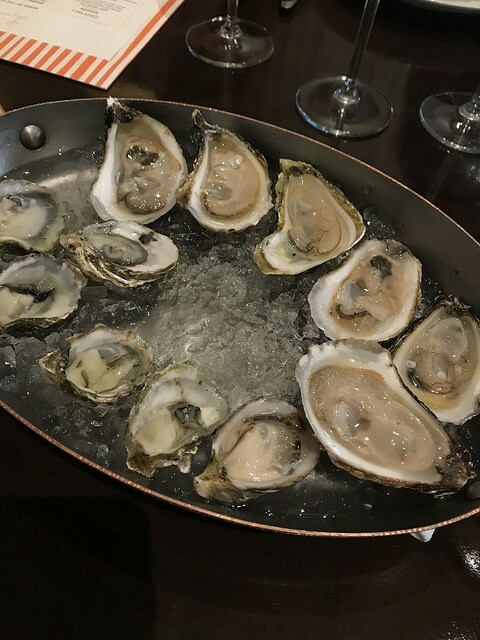 We had a couple of appetizers before the lunch including some lovely oysters. We met with Frazer Thompson, the Chief Executive of Chapel Down. 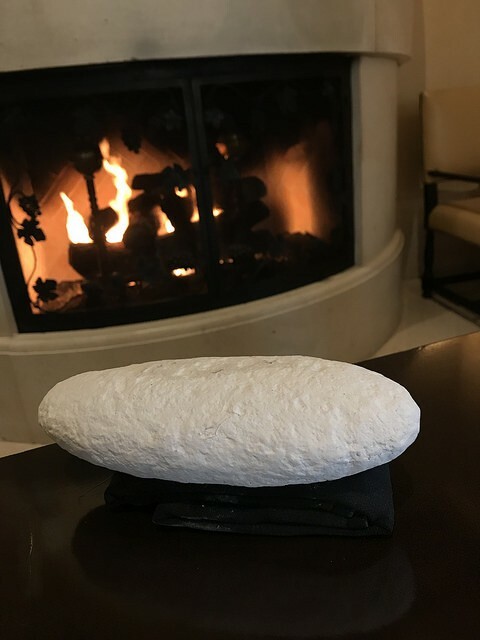 He explained the soil where the winery is located is chalk, just like how it is in Champagne, France which isn’t very far away. As you can imagine, this would lead to excellent grapes ideal for sparkling wines. 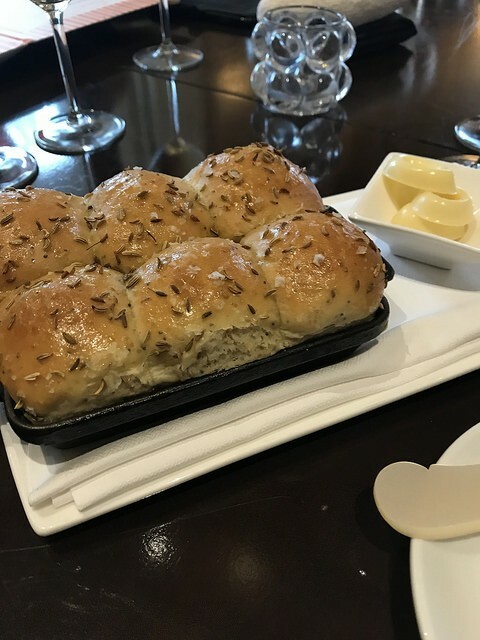 A few years ago, every restaurant in town had Parker House rolls. Now the craze seems to have died down but I maybe it’s starting back up again with these fennel and za’atar ones from Georgie. The Middle Eastern spicing was subtle and it didn’t hurt the rolls were fluffy and quite addicting with butter. 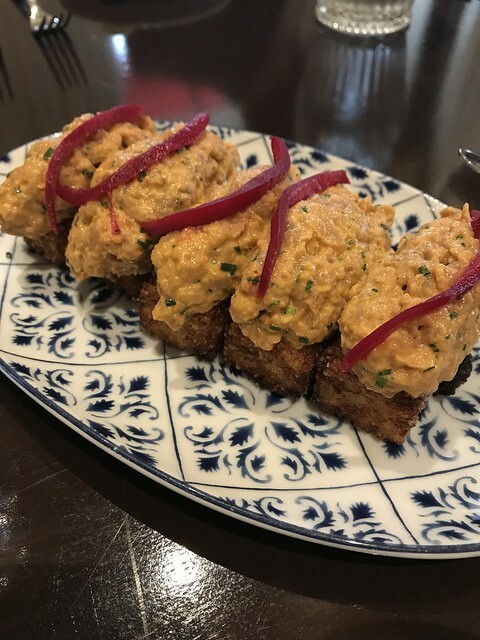 The tuna tartare were served just like crispy Japanese rice you might see around town. These were big boys though and require maybe even three bites! 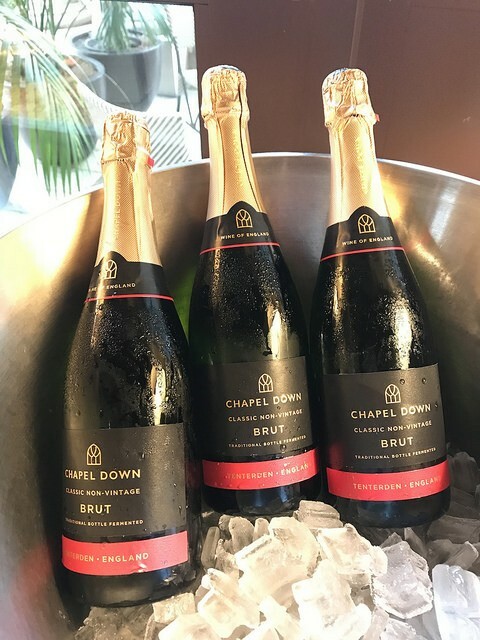 We tried three sparkling wines from Chapel Down including their Classic Non-Vintage Brut and English Rose Brut. Then we had a special vintage one. I liked all three but found myself returning to the Classic non-vintage during the meal. 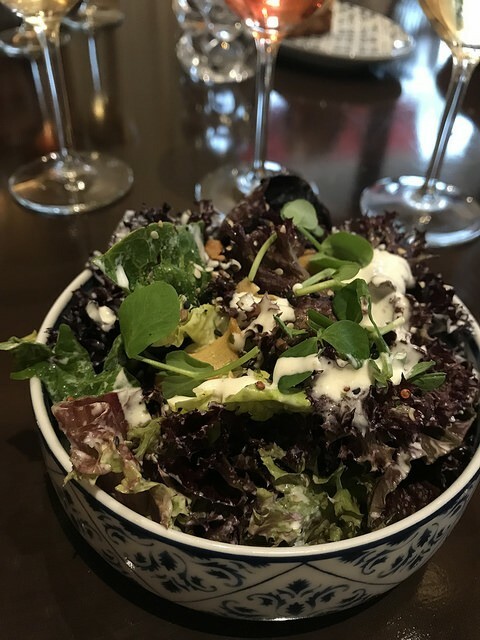 I started with a side salad though I was already started to feel full from the appetizers. I kept going back to the Brut since it’s virtually designed to go with everything. 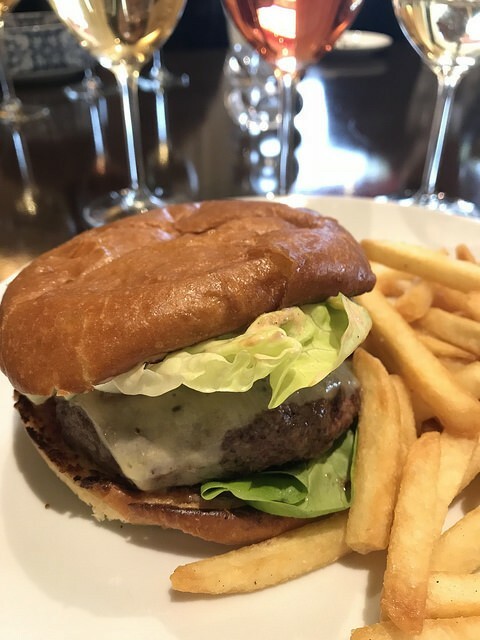 But all the sparkling wines worked well with the well made burger and perfect fries. 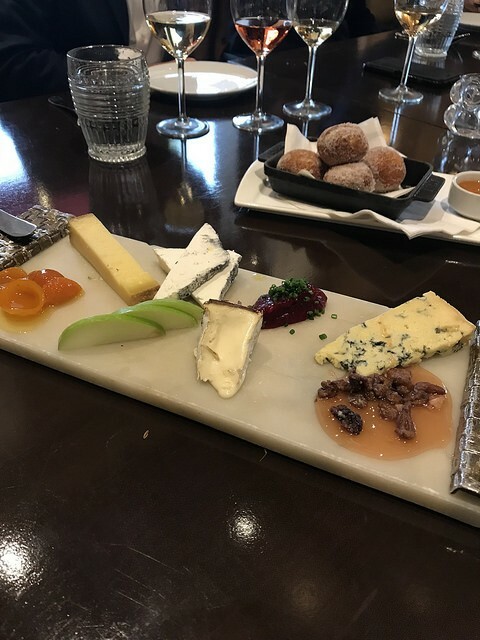 I skipped the cheese plate that day but it looked like a wonderful assortment. One of these days I’ll do cheese for dessert (and feel oh so chic and European!). 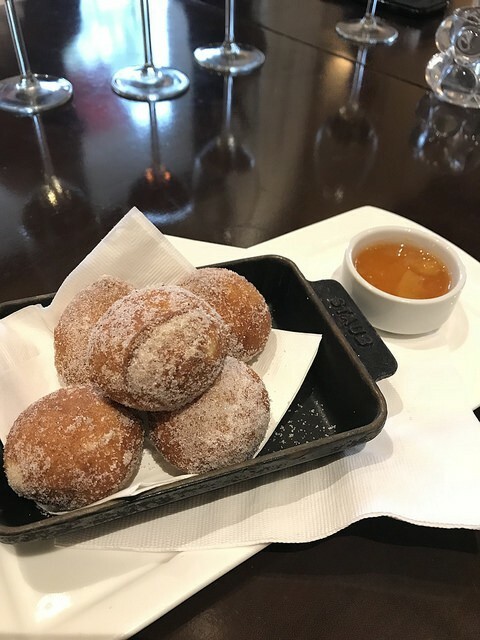 I was all about the doughnuts with creme anglaise. Unsurprisingly the Brut again worked well (or maybe it was just my favorite!). 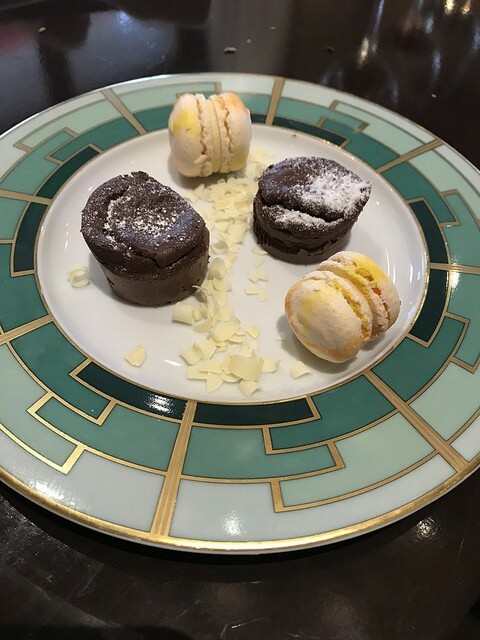 I rather liked the British term “fancies” for these mignardises. I had a bite of the mini chocolate cake though I did eye the (small) double stacked macarons. Chapel Down also produces beer and spirits. I would love to try their brandy, gin and they have a chardonnay vodka! The next time I’m in London, I’ll have to take a train over to check out Chapel Down. I want to see this chalk earth for myself.